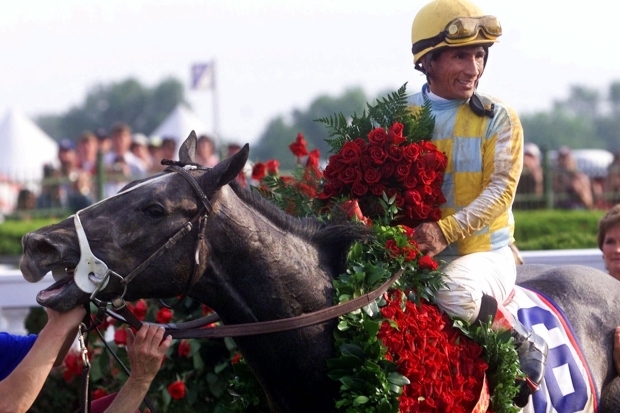 Watch the 140th Kentucky Derby Saturday on NBC starting at 4p ET. Follow all the action online at NBC Sports. After months of competing in qualification races, the world's top thoroughbreds are getting ready to face off on May 3 in the Kentucky Derby, the first step toward the elusive Triple Crown. No horse has won all three races – the Kentucky Derby, the Preakness and the Belmont Stakes – since Affirmed accomplished the feat in 1978. But heading into the first of this year's Triple Crown races, one 3-year-old is attracting attention for his flawless races and breakneck speed: California Chrome, a colt who won his last four races by a total of 24 1/4 lengths, appears to be the horse to beat at Saturday's Kentucky Derby. Churchill Downs oddsmaker Mike Battaglia made California Chrome the 5-2 morning-line favorite. "If there is a horse who has the qualifications, and I'm talking about a horse who does not have a flaw, it's California Chrome," said Steve Haskin, senior correspondent at The Blood-Horse magazine. The California-bred horse with humble beginnings seemed at first an unlikely Triple Crown contender. Owners Steve Coburn and Perry Martin bought his mom, Love the Chase, for $8,000, according to KentuckyDerby.com, and California Chrome was her first foal. That's a bargain for an elite thoroughbred: Constitution, a Triple Crown contender that will miss the Derby due to a shin injury, cost his owners $400,000. California Chrome, a chestnut colt with a wide white stripe down his face, trains at California's Los Alamitos Race Course, which up until recently was a track for quarter horse racing. It was lengthened in 2014 to accommodate thoroughbred racing. If California Chrome wins Saturday's race, he would be only the fourth horse from the state to do so, according to bloodhorse.com. But on the track, California Chrome kept winning. His workouts are flawless, Haskin said, and he managed to win four straight races without regressing. "He wins with no urging at all and runs his competitors into the ground at the same spot and with the same burst of speed each time," Haskin said. California Chrome's would-be challengers include Wildcat Red and General a Rod. Both horses are fast, but some analysts believe they'll struggle with the Kentucky Derby's mile and a quarter distance. "(Wildcat Red) will be at California Chrome's collar from the start," The New York Times' Joe Drape said. "The question is whether either of them can keep running through the Derby's last quarter-mile." The track conditions at the race should be pristine. The weather forecast for Saturday in Louisville, Kentucky, calls for temperatures in the 70s and no rain, accoridng to the The Weather Channel. Haskin sees one horse that could threaten California Chrome: Danza, named for actor Tony Danza. Danza entered the Arkansas Derby earlier this month as a 41-1 long shot and delivered a shocking 4 3/4-length victory, showing just who is the boss. 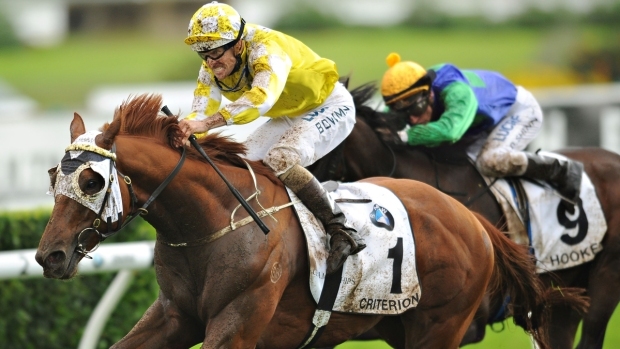 A performance like that at the Derby could make the colt a contender. "He did something at the Arkansas Derby that an average horse should not do," Haskin said. Danza seems to be peaking at the perfect time, according to Haskin. "Consistency is not the main factor, it's who is blossoming that day," he said. Other top Derby contenders include Vicar's in Trouble, Dance with Fate, Samraat, and Wicked Strong. Hoppertunity was among the top contenders, but was scratched from the race because of a sore left front foot, trainer Bob Baffert said Thursday. Wicked Strong earned a spot in the Derby by winning the Wood Memorial in April. The colt's original name was Moyne Spun, but his owner changed the name to Wicked Strong after the Boston Marathon bombing, as a tribute to the bombing's vicitms.